Tritonal’s Air Up There show will end after 100th episode! The final Air Up There episode will broadcast live from Austin, TX on Sirius XM on December 8 during Tritonal’s Air Up There 100 celebration. Tritonia will begin airing weekly on DI.fm and Sirius XM’s Electric Area channel in 2013. The new show, Tritonia, will take a fresh, fan-centered approach to Tritonal’s radio broadcasts. Tritonians will be able to interact with each other in “Tritonia”–a new forum that will become the home base of fans and listeners. Tritonia will also be a place where fans can receive access to exclusive contests, giveaways, tracks and chat with Chad and Dave about the show. 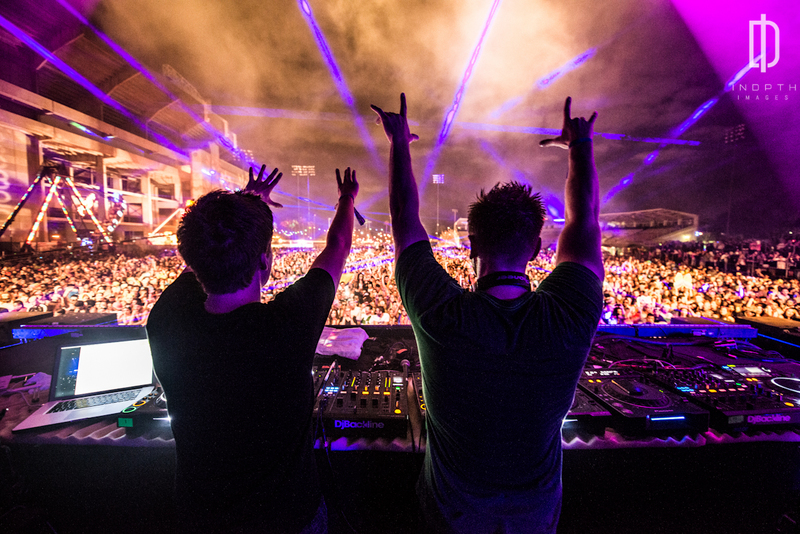 “Although it will no longer be called Air Up There, fans should be reassured that we are still going to produce the same high quality show with the latest and greatest tracks in trance, progressive, house and electro in 2013,” says Tritonal’s Dave Reed. Air Up There will remain the name of Tritonal’s record label, which finds its imprint on Enhanced Recordings, one of the top names in trance and progressive. Air Up There Recordings focuses on discovering and building the careers of some of EDM’s brightest new talent. Air Up There 100 will take place on December 8 at Emo’s East in Austin, TX and will be broadcasted live on Sirius XM’s Electric Area. Their first hometown show in over two years, Tritonal will be joined by Super8 & Tab, Kyau & Albert, Will Holland and Cristina Soto for a night of uplifting and energizing dance music. Tickets are on sale now through http://www.emosaustin.com/event/177947/. Interact with Tritonal during ‘Air Up There #100’ live from Austin! When was the first time you heard Air Up There and how has it affected your life? Email airupthere100@tritonalmusic.com with your comments, questions and shoutouts and during the live broadcast, tweet at @Tritonal and @SiriusXMArea or post on Tritonal’s Facebook page and your comments might make it on the air!